Jonker Street is one of the must-see places whenever you come to Malacca, Malaysia. In Jonker Street, you’ll find a variety of food, handmade goods, cultural items and even some religious buildings along the way. A historical city like Malacca requires a few days to be explored, so if you’re travelling at a slow pace, you will need a place to stay while you’re here. 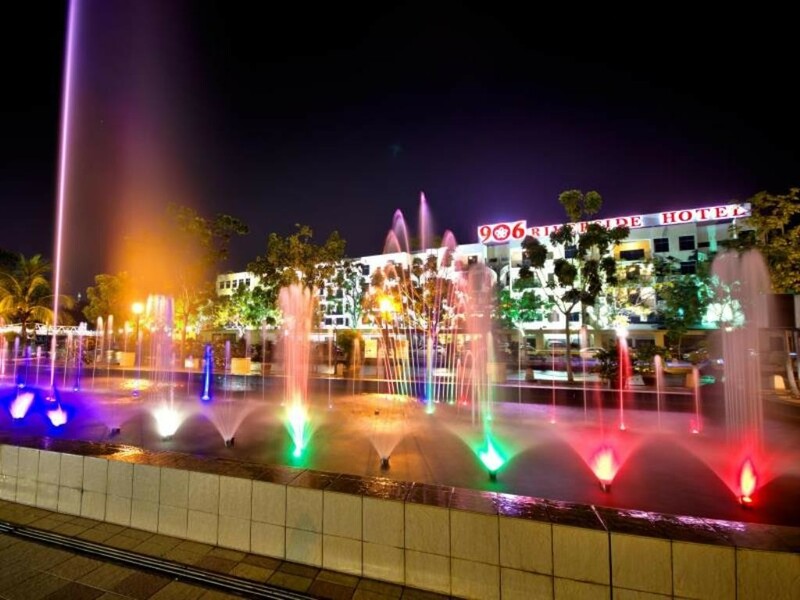 We’ve compiled a list of best budget hotels near Jonker Street, Malacca to accommodate you during your visit. This place doubles up as a guesthouse as well as a café, to which guests can wake up to breakfast in the same compound. Located next to it is the Baba and Nyonya Heritage Museum, therefore it’s easy to visit anytime. Café 1511, on a food and beverage level, sells authentic Nyonya food such as curry laksa, pai tee, asam laksa, popiah etc., which are all considered to be very flavourful. Due to its proximity to the happening area of Jonker Street, it can be noisy if you are a light sleeper. However, if you don’t mind the noise and would like to wake up to a heritage setting, you should consider staying at Café 1511. 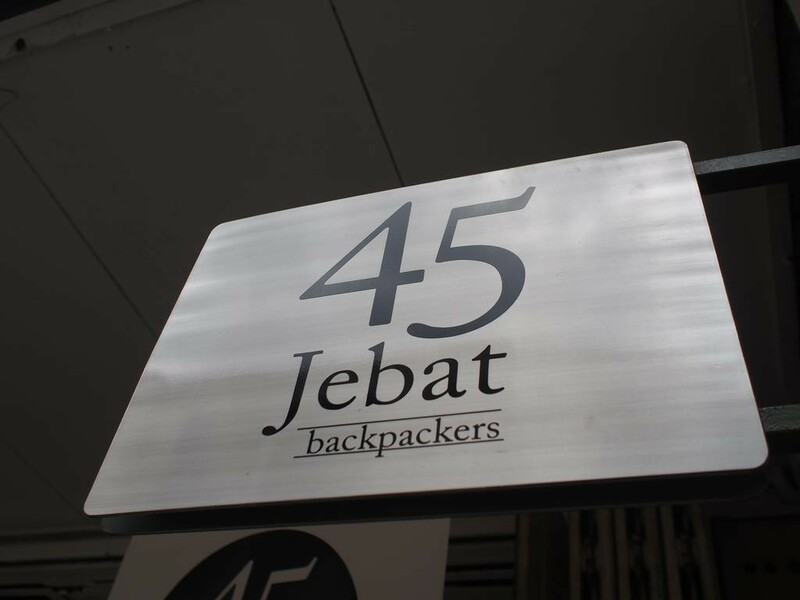 45 Jebat is suitable for backpackers who are always out and about during their time in Malacca. It’s a hostel that consists of mainly bunk beds, with a cosy common area for people to relax and unwind after a day of exploring the city. 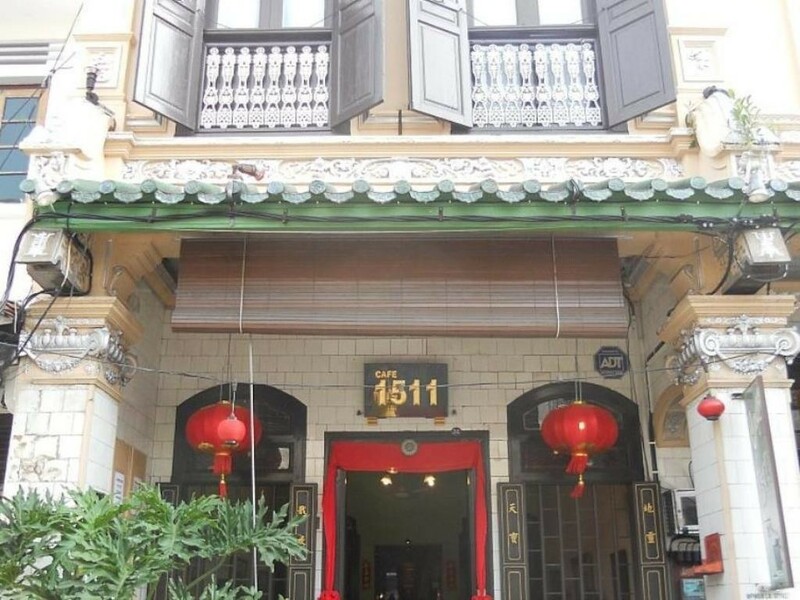 45 Jebat is known for its cheap price and location that’s very close to Jonker Street. Once you walk out of the hostel and turn right, that’s already Jonker Street. One night of accommodation for a person cost about RM40 if you make a booking online. Set next to a backlane, Monkey Motel & Café is a small yet cosy guesthouse for foreign travellers. The streets close by are filled with coffee shops, guesthouses, and many types of businesses run by the locals. Its location is close to the happening area of Jonker Street Night Market, but quiet enough for you to get a good rest throughout the night. Due to the lack of parking, it’s much more suitable for travellers without a car. 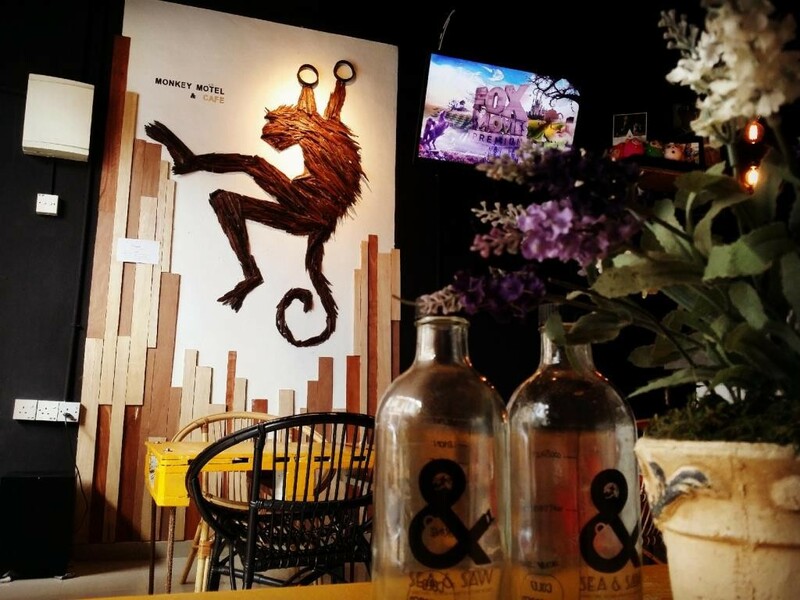 Priced around RM50 for a single room with a shared bathroom, Monkey Motel seems like a good value for money, especially with fast Wi-Fi and air-conditioning system. Monkey Motel offers pretty good laundry services as well to travellers who need it. 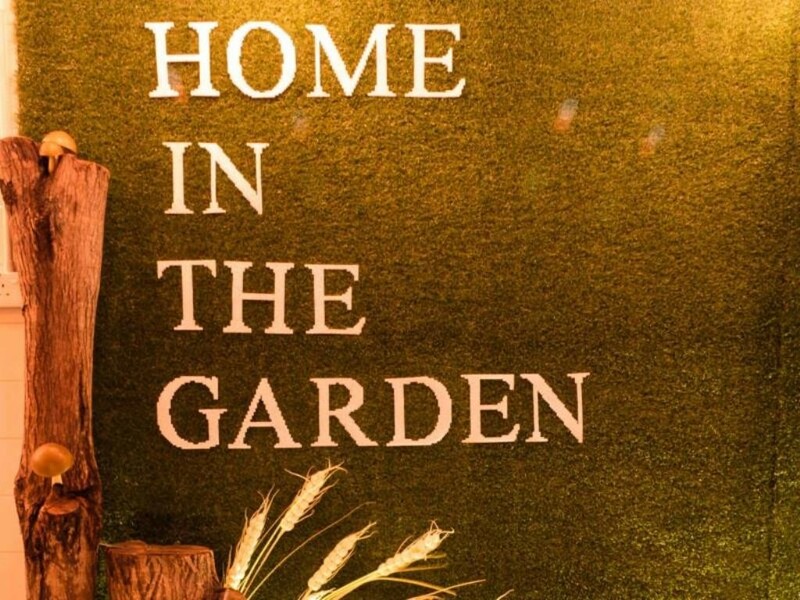 Home In The Garden offers a feeling of home for travellers, who are usually far away from home. Upon entering the venue, guests are welcome by greenery and white, crate-shaped furniture. Additionally, the LED lights that are hung around the common area give the place a soft and warm look, so guests can feel more comfortable while they’re there. For a low price, the rooms and bathrooms here are always kept clean. Its proximity to facilities like ATM machines, convenience stores, bus station, clinics and pharmacies adds value to Home In The Garden as well. 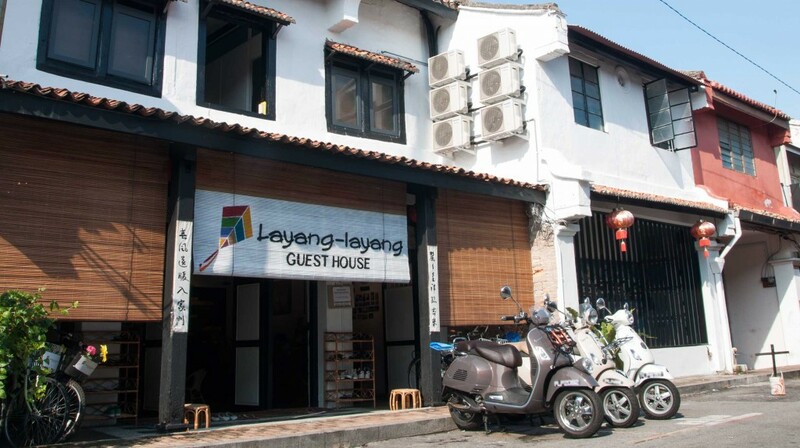 Layang-layang Guesthouse resembles a heritage home, with its antique interior design that’s mainly made out of wood. The house compound consists of a little pond that brings more flavour to the authentic building. Together with its cement floors, the building doesn’t only present its history, but also functions to keep the house cool when it’s hot. Despite its aged outlook, the inside is clean, including the rooms and bathrooms. Layang-layang Guesthouse has bigger rooms that can accommodate families with kids, and the compound offers some space for kids to play around. This guesthouse resembles a private residence compared to other budget hotels, suitable for those who are looking for something a little different. Even though it’s not right on Jonker Street like the other hotels, the back of the Oriental Riverside Guesthouse is facing the Malacca River. The river view compensates for the distance from the guesthouse to Jonker Street. This guesthouse may be a little bit old for some people, but it’s still quite comfortable for solo travellers, couples or even families with a child. Overall, Oriental River Guesthouse is bright and airy, with windows facing the river in some rooms. It’s an average guesthouse, with a low price of RM40-RM50 for a double room if booked online. 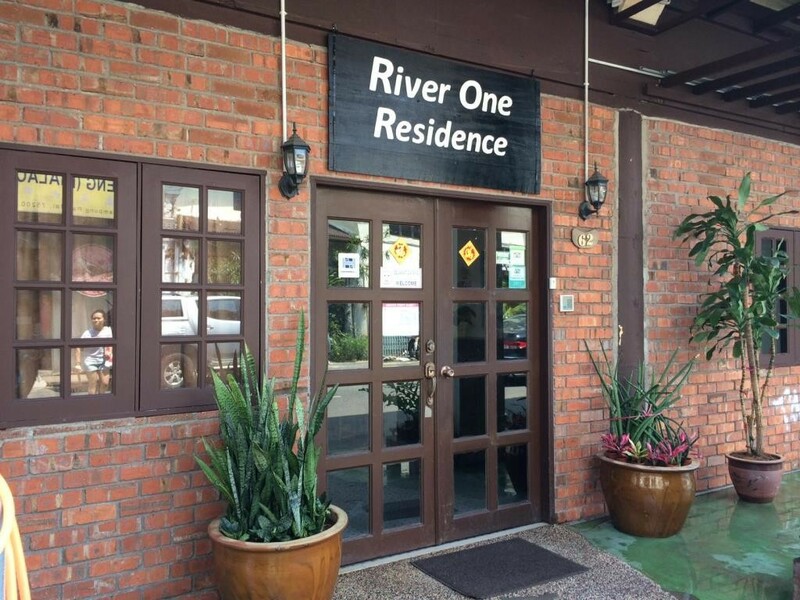 River One Residence is another one of the houses located along the Malacca River. Once you arrive at the location, a brick wall entrance invites you into the guesthouse. Known for its cleanliness and friendly staff, this river view hotel has a high rank among its competitors. The spacious common area that this guesthouse offers allows travellers to unwind while staring out at the river with a beverage in their hands. 5-10 minutes of walking will take you to Jonker Street, which makes it a good location as well. A deluxe twin bedroom that comes with a shared bathroom can cost as low as RM60 (online booking); and a family room with one single bed and one double bed cost within RM120. River One Residence is definitely a good place to stay. Although Hotel Hong is rented out at a price that’s a little higher than other hotels, but it is fairly comfortable with a refurbished interior. Its tiled floors and common areas offer a lot of seats for travellers, therefore you don’t have to worry about the place being too crowded. There’s also an open-air common area, so if you prefer a breath of fresh air, taking a nap outside on one of Malaysia’s famous “lazy chairs” is also a good option. 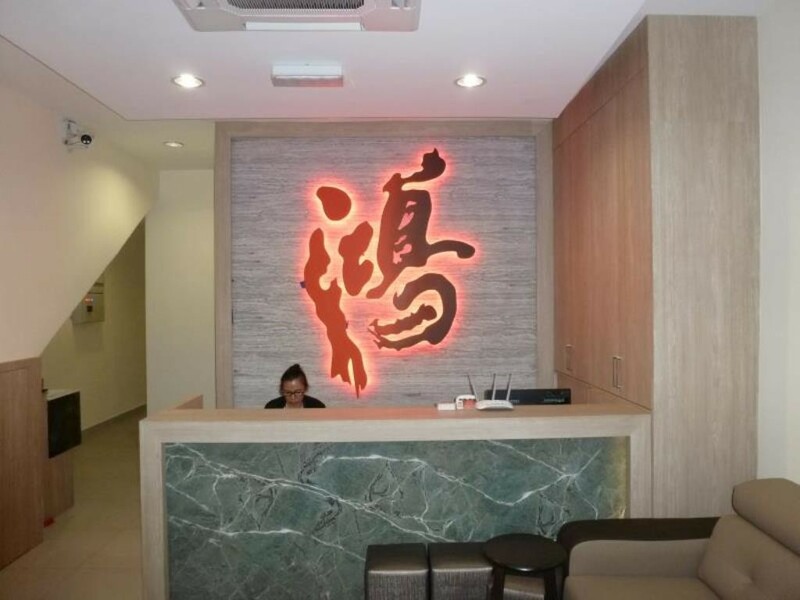 Hotel Hong provides a lot of facilities such as toiletries, towels, DVD players, tea and coffee, which are extra points when you compare it to other budget hotels. You can get a double room at Hotel Hong for a price of RM88 if you book online. Jonker Street is in the vicinity of Nomaps Hostel, therefore its location is already an attraction. However, what’s even better is the inside. 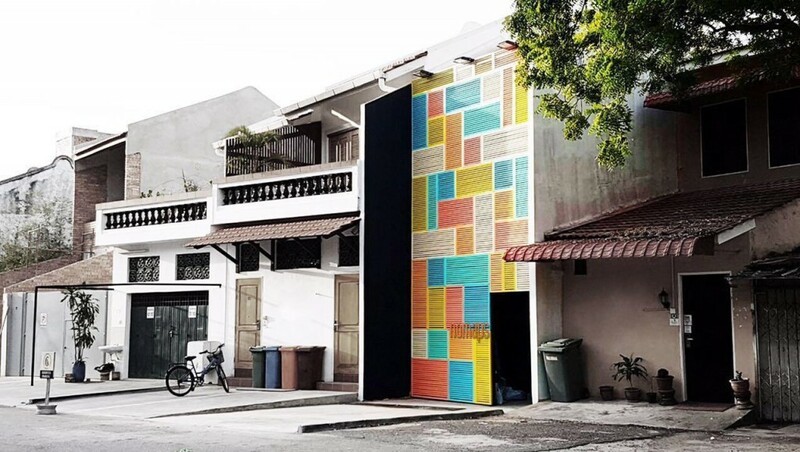 Originally an 18th century Malaccan building, Nomaps has been converted into a modern hostel, complete with a contemporary and fresh design that targets young travellers. Its new look gives people a comfortable feeling, and murals in the house compound makes Nomaps even more beautiful. Its well-furnished common area, kitchenette and bathrooms are some of the highlights of this place. Furthermore, each bed has its own locker for the travellers to keep their personal belongings. Given all of the plus points, the price is definitely higher than the surrounding budget hotels. A solo traveller will have to pay around RM67 for a single bed per night, free breakfast included. 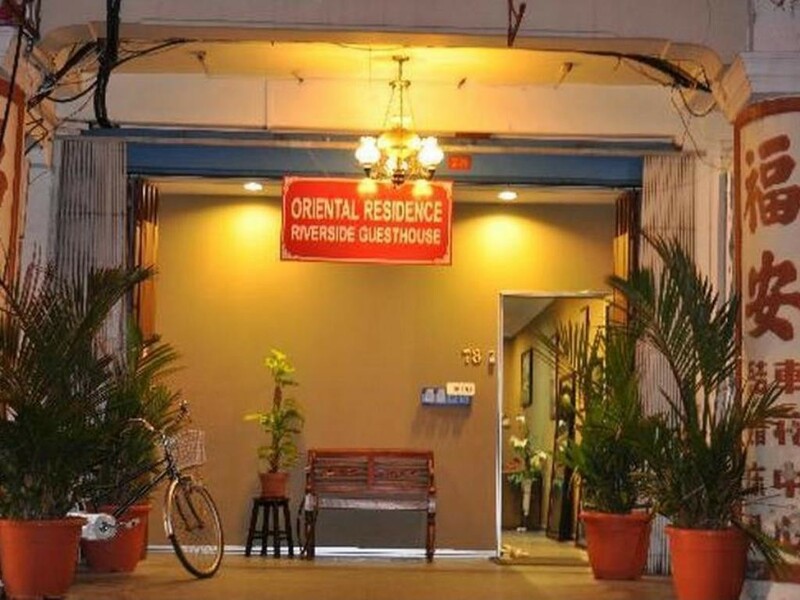 906 Riverside Hotel may be located further from a lot of other hotels on Jonker Street, but it’s located next to a river, suitable for those who want a view from their accommodation. However, bookings should be done earlier to avoid disappointments. Compared to other hostels, the walls of the 906 Riverside Hotel are definitely more soundproof, allowing travellers to have a good night’s rest. Additionally, due to the location that’s far from the happening area of Jonker Street, travellers can sleep peacefully at night. This hotel is also great for families with kids, with a bathroom in each room, and water dispensers on each floor. Costing a little more than RM100, this hotel is for those that need a more comfortable accommodation during their stay in Malacca. The list here only consists 10 of the best budget hotels in Malacca that’s near Jonker Street. Although Malacca is small, but there are so many more types of accommodation that are available there. Make sure you do thorough research before you book. Enjoy your stay in Malacca! *Disclaimer: All reviews are based on a compilation of travellers’ opinions, therefore the author is not liable for any unpleasant experience at the accommodations, if any.